Like a blue and white dingy, bobbing alone in the bay, the Little Tea Caravan has once again pulled up on the promenade. 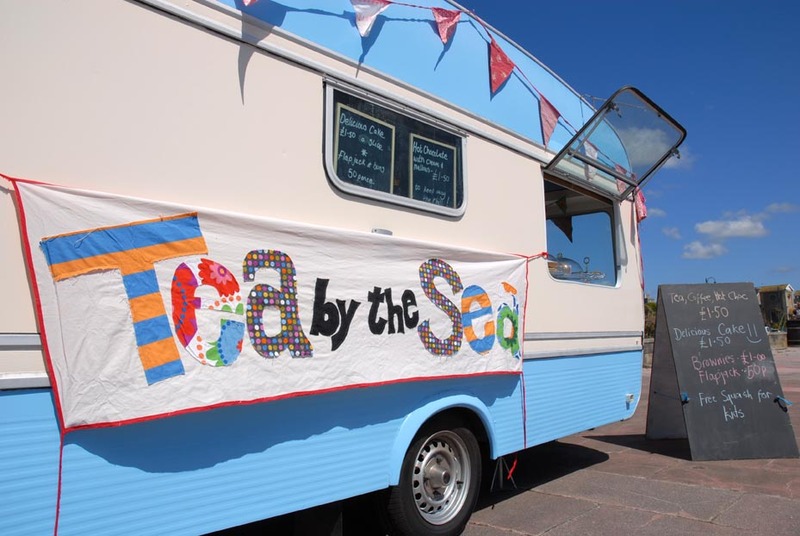 The caravan, named Rosie Lee, is resplendent in her new coat of paint and is not only a refreshing sight, but a welcome merchant of refreshment in the mile-long desolate stretch between Newlyn Gallery cafe, at one end of the prom, and The Poolside cafe, at the other. The unspoilt sparseness of the prom is part of its charm, but this attractive distraction is quite welcome. Promenaders can partake from a simple menu of teas, coffee and cake at the scattering of tables and chairs, but if the sea breezes prove too bracing, you can take these away too. If the vintage vehicle, elegantly mismatching crockery and colourful appliqued banner doesn't endear you to the enterprise, you'll be charmed by the chalk board announcing 'Free squash for kids'. The idea for the pop-up cafe was born when the team took over the shipping container that sat incongurously on the prom last year. That initiative was a part of the 2011 Cornwall Design Season, but popularity spurred them onto finding a marginally more permanent home. It all seemed so perfect and obvious, but it was no easy journey to get there; an ocean of bureaucracy nearly sunk the scheme. 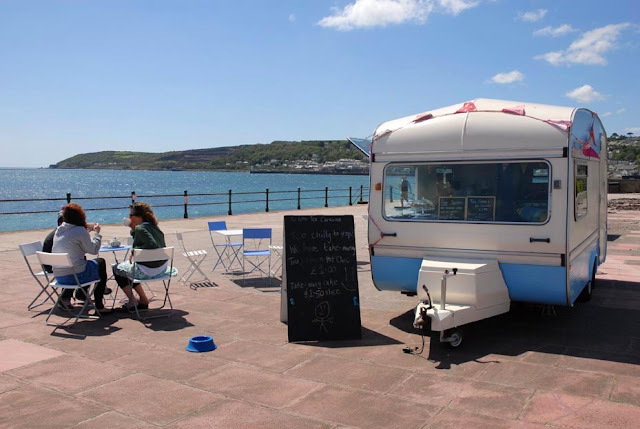 But thanks to the perseverance of the crew, the caravan is now a regular feature on the Penzance seafront; moored and open for business (weather permitting) on weekends and school holidays from May to October. 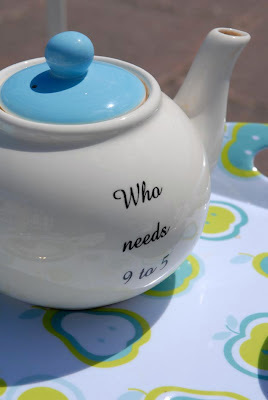 Follow Little Tea Caravan on Facebook for regular updates on opening times.